Continuing from my last post, I tried two more chocolate cake recipes this week. 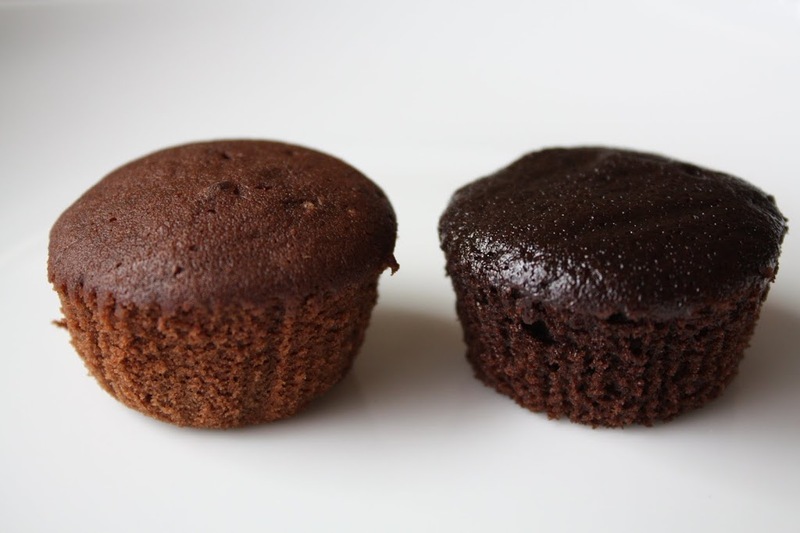 The Chocolate Butter Cupcake recipe was slightly less dense/dry than the prior All-American butter cake I made, and tasty in small portions. 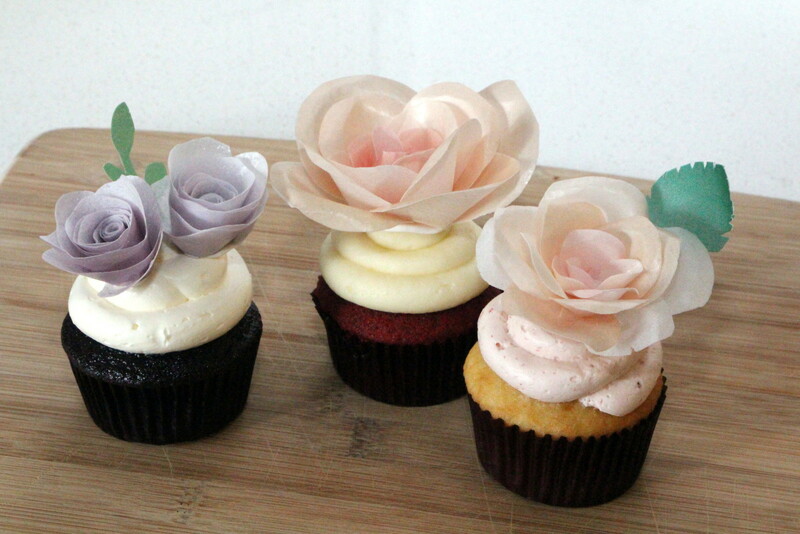 But, I think at this point, I am going to conclude that butter cakes are not ideal for cupcakes, which are ultimately a very thick slab of cake. 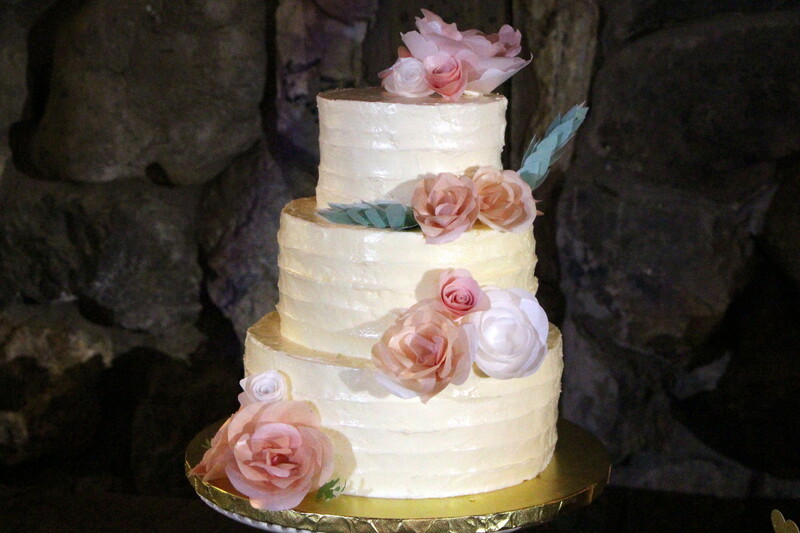 I think butter cakes are much better for holding up layer cakes, and I will put this to the test at some point. One exception might be a red velvet variation with cream cheese frosting, which I tasted at a recent cocktail event. Perhaps the creamier/richer the frosting, the better the pairing, which would explain why the curry ganache cupcakes I made last week worked. Important to note: These red velvet cupcakes I tried were mini cupcakes; I am not sure I would have enjoyed that much fudginess/density at the full cupcake size. Ultimately, I will admit this could be a taste/texture preference of mine, and others might like butter cakes more. 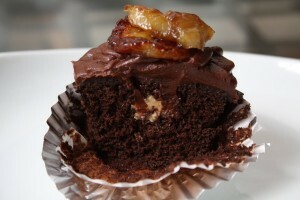 The German Chocolate Cake is fantastic, and definitely can serve as an alternative to the Ultimate Chocolate Cupcake recipe. It is slightly less rich, but it has a good texture and distinctive chocolate taste which makes it yummy to eat on its own. 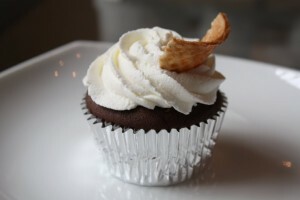 I filled these chocolate butter cupcakes with hazelnut ganache, and topped with whipped cream with a hint of hazelnut. Finally, a piece of sugar cone, because who doesn’t like ice cream cones? 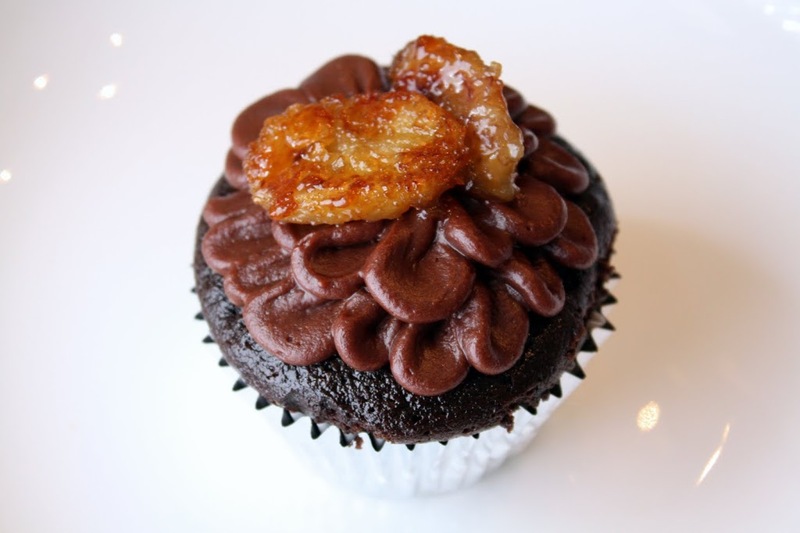 These cupcakes were filled with a peanut butter cream cheese filling, covered with a peanut butter chocolate whipped ganache, and topped with caramelized bananas. I am not normally a peanut butter fan, but these cupcakes came out pretty delicious, creamy without being heavy, and with the right balance of flavors. I had never caramelized bananas before, and really had no plan for how to pipe the frosting but I pulled it together somehow.